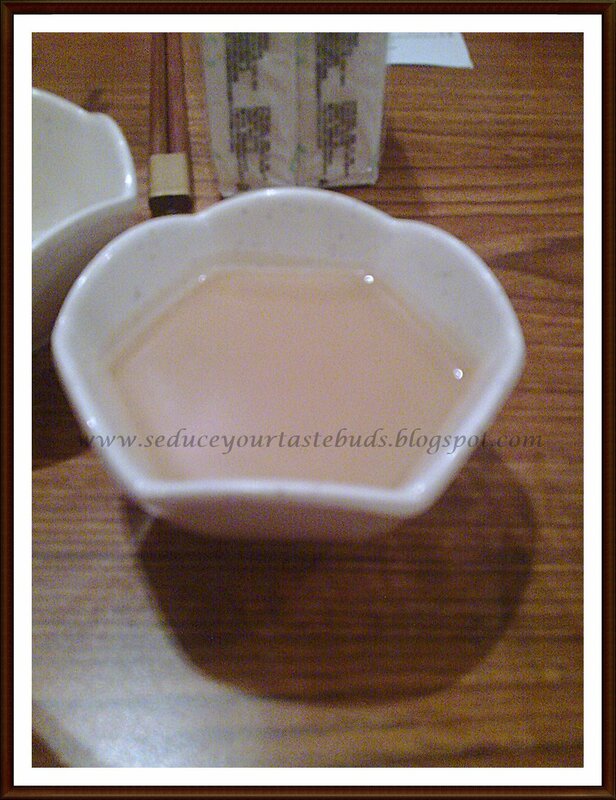 I had written this post – Huo Guo, along time back [exactly 4 years ago!] and I noticed that the pics were not so clear and then there was something more to add to the write up. I wanted to share this special post with my BM team and hence wanted to re-write this post for the special A-Z blogging. When compared to the old post, this once has clearer pics and also new pics from another place we dined at. So I will take you on a out for dinner now…. Let me introduce you to option 2 –Welcome to Huo Guo!!!! Eating out in here in China is a very daunting task for me, especially since I am a vegetarian.. I would rather prefer simple rice based dish at home than eating out because of my experiences in the restaurants. Here vegetarianism seems to be unheard of,specially in the restaurants. During the initial periods[that was 2 years ago!] of “trying” to find out a vegetarian meal in a restaurant, I have encountered so many events that have made me a “restaurant-food hater”.All the dishes seem to have a little bit of pork, egg or shrimp in spite of being labelled “vegetarian”. Now, how good can that be!!! It was the peak of winter and place was ‘welcomingly’ warm! I followed hubby through the tables where I noticed what gave out those vapours and we managed to get a table and off my friend went to order for us. A little while later, a cute little waitress got us trays of assorted “dishes”. 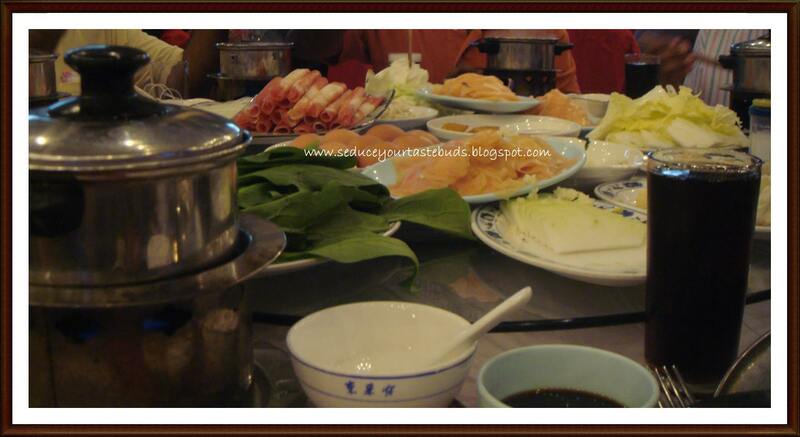 There were a medley of thinly sliced vegetables – Pumpkin,cauliflower,potato.varieties of mushrooms,tapioca ,a wide range of bean curd products,uncooked noodle varieties,and of course some starters and cool drinks.As hubby and my friend took me through the process of eating at a hotpot,I grew excited…. You have two types of vessels for the hot pot-one is a like a basin into which a single type of soup is poured and the other is the one with a partition so that you can have plain broth on one side and spicy broth on the other side. We always select the partitioned one as hubby is extremely fond of spicy food whereas I like my food mildly spiced.I also like to add a bunch of coriander leaves to the broth for extra flavor. The vessel with the soup,getting heated and awaiting the dishes!!! Veggies and other goodies added with the soup and boiling-awaiting hungry tummies!! When the vessel is brought to the table,this vessel is half full and the waitress adds more broth and you let it come to a mild boil before adding the veggies inside. Since they are boiling all the time [i.e till you finish your meal ] we have to keep adding more soup as the volume decreases. A waitress is usually available with a pitcher of soup to help you refill the pot. Here is what you do at a hotpot restaurant…You have to put in the veggies or any other “dish” you ordered and wait for it to cook,just a couple of minutes since they are thinly sliced, and use your chopsticks to pick them out,eat them as they are or use a dipping sauce-you get a wide range starting from a very spicy version of chillipaste,to mildly spiced tomato-chillipaste,peanut butter,soy sauce,vinegar etc. Our regular style hotpot is actually so much fun where you sit around it and talk and wait for the “dish” to be cooked and eat a bite at a time. Yes, the food is piping hot! !There are so many times when I have come home with a scalded tongue!!! We dined out in a hotpot that has vegetarian broth for the soup and we go there almost every weekend. Weekends at our favorite hotpot is so crowded that we have to wait to get a table. [As I told you earlier,there are around 200 tables there!!! ].Sine we are ‘regulars’ there and have a credit of being a ‘foreigner’, the floor manger bypasses the waiting list and gets us a table real quick!!! Hotpot has become was our favorite joint now anywhere we travel within China but the style of service varies slightly from place to place and even restaurant to restaurant with a city! Xiaomantou-another regular in our menu,is a kind of bun that has a crispy crust and a super soft inside,served with condensed milk for the dip-Lil angel’s fav! Yutao– A kind of sticky root vegetable that is extremely good in the hot pot!! Just a few days short of our return to India, we found another restaurant – hot pot style and we decided to check it out. It was in one of the huge malls and the restaurant was a little classier than our usual joint. The bowls here had three compartments. the centre one to keep the cooked food and on either sides for the sauces/ flavorings. When I saw this in the menu card, I thought it was pappad and ordered it. Only after my friend explained it to me , I understood that it was fried tofu!! This was very new to me and it was good to eat as such instead of dunking it into the soup. Another thing that amazed me in the new place was the number of sauces / flavorings/ spice mixes that were available. There was a separate room for the sauces, spice mixes and sides!They were placed on tables along the walls so that you can move around freely in the centre before selecting what you need .You just need to pick your bowls, walk over to that room and help yourself with the sauces / spice mixes / make your own combo! Different types of flavored oils , chopped garlic, garlic sauce….. I hope you enjoyed your virtual dinner…. Even when we went to Taiwan for our holiday,we chosed a hotpot restaurant suggested by our Agent and we enjoyed their foods thoroughly, seriously i want such kind of restaurants here,i dont mind planning a trip to china just to enjoy this kind of foods, such a detailed post PJ.The foods you ordered is quite enough fill our tummy. Wow.. one more interesting and new Chinese recipes.. thanks for sharing all this info. What a virtual treat..loved it..we had a similar experience in Japan where we had a big griddle in front of us and were given all ingredients ..we had to cook our food on it and enjoy it right from the griddle. looks fabulous!!! what a nice virtual tour!! A proper visual treat of Chinese food I loved reading ur article interesting and nice to see so many variety of food available. sounds like such a fun experience! Sounds like a very interesting place! My husband was just telling me of a Chinese eat out here with the similar set up..Got to visit that place. Travelogue made a v interesting post… Thanks !! Lovely post with a visual treat for sure.. I havent heard about these kind of restaurant before. You have really given me a virtual tour, explaining everything in detail..its almost as if I am there, scalding my tongue as well! !